NaijaBillionaire Limited recently unveiled its plan to create gaming experiences, enrich lives and add value to businesses and the environment through innovation, easy access, integrity, partnership and world class processes with the launch of the first billionaire gaming experiences in the country. 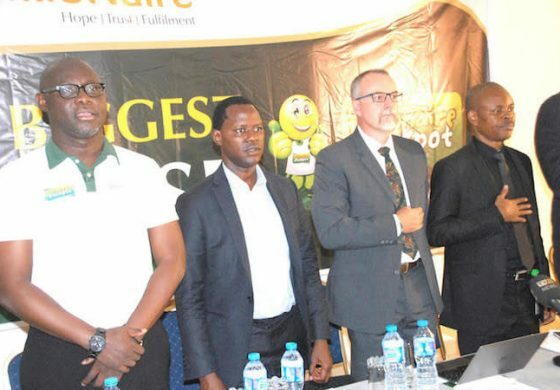 Speaking at the launch of the game in Lagos, Lai Labode, Director and Execution at Naijabillionaire affirmed that the jackpot, which is the company’s flagship game, is an electronic raffle (e-Raffle) game that would be played by electronically entering a purchased raffle ticket into a draw. The eRaffle game, he said, would pay a whopping one billion Naira as its jackpot. Apart from the jackpot, every participant has a chance of winning something. Adedotun Sulaiman, Chairman, NaijaBillionaire said, “It is an electronic wealth redistribution game designed for Nigerians. A game that will create millionaires every month across the country.” He said that the company’s entry into the Nigerian gaming industry was aimed at introducing a truly national lottery, create wealth distribution game and establish Nigeria on the gaming global map”. But they have to actually develop the software talents to making the games first.